So, the lack of posts recently have been due to an overload of finals, work, and plans. Been way too busy lately so I had to resort to the ever-famous, mirror pic. I’m obsessed with this vintage leopard vest my mom is currently “letting me borrow” until I remember to give it back, so not happening. Also- I’m going to Miami this week so most of the posts will be of my own outfits. See you in the sun. love the outfit! fan of your blog. . . found it through elin! anyways the rug shot is also super cute with the boots, where can I find a rug like that? 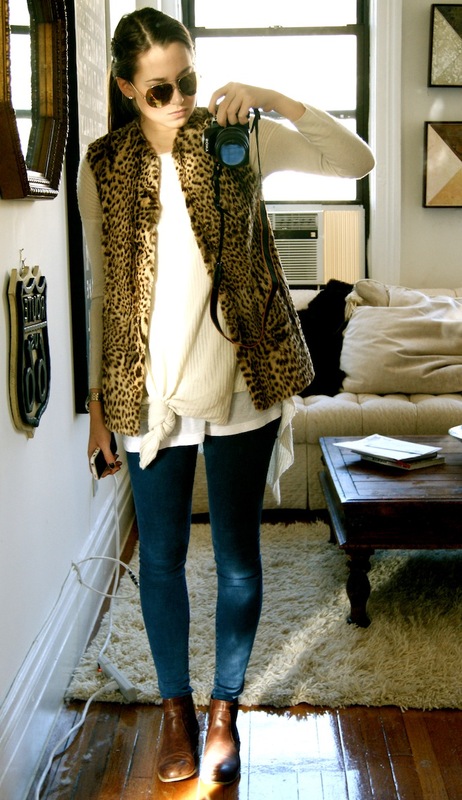 wow I love this vest! I haven’t seen a vest like that yet this year… only jackets. Fur vests are probably my most sought after item of the season yet I still haven’t pulled the plug! Great outfit! Get Nike Air Jordan Shoes at Sale Prices. Many Colors and Designs!